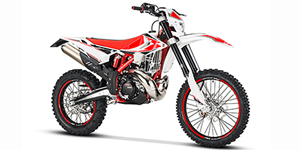 A long-distance off-road competition motorcycle type, enduro bikes are specifically created to perform on dirt as well as the occasional paved roads. European-based companies such as Husqvarna, KTM and Beta are considered top producers of enduro bikes. Enduro motorcycles embody many of the same functional traits as a motocross motorcycle including an exceptionally lightweight frame. Both motocross and enduro bikes are designed to handle challenging off-road trails. 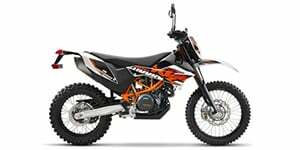 Key differences setting an enduro apart from a motocross motorcycle is a larger fuel capacity and a seat that is built for comfort. In many cases, enduro motorcycles can be ridden on roads as well so they can also qualify as dual sport bikes. 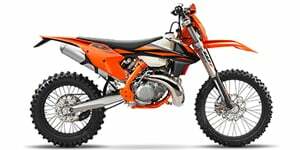 Both two-stroke and four-stroke engine power is well-represented within the enduro motorcycle category.